The status of micro silicon fume in cement mortar and concrete industry is very important because of its excellent properties, such as high activity, water reducing and strengthening. Therefore, it is widely used in construction, metallurgy, chemical industry, cement and other industries. Micro silica fume original ash is light, is relatively difficult to transport and the cost is high. Through the micro silicon fume powder densified technology greatly reduced the cost of labor and provide a good working environment. The undensified micro silica can use simple way, namely: 40 g water, 60 g microsilica fume powder, 0.2 g dispersant (trimerization or P530), stirring naturally, pouring on glass plate, naturally flow, measuring flowing area, if the average diameter is more than 130MM, normal liquidity will be very good, but it is better to do amorphous block test, the final determination of fluidity according to the amount of water. But now the domestic silica fume is little which can reach that standard. 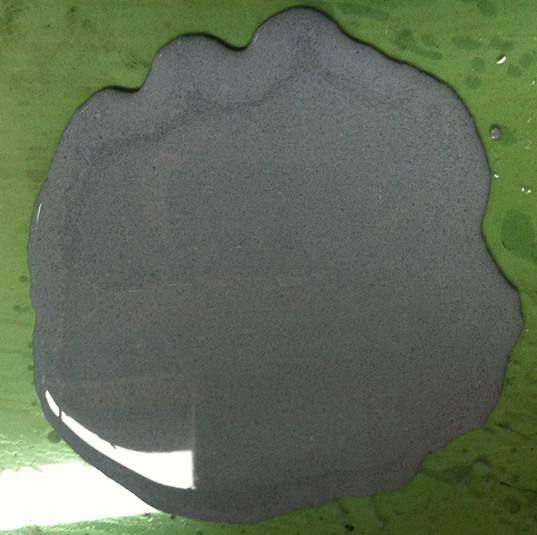 The above method can not be used for densified micro silicon fume. Only use the amorphous samples to determine: amorphous specimen without fixed formula, for example: 70% calcined bauxite, 20% 0-325 mesh fine alumina powder, 3% silica fume, 7% alumina cement, 0.2% sodium hexametaphosphate, 8-9% water, using jumping table or shaking table test vibrational flow value of castable slurry, the minimum flow of water is better. 1, micro silica powder must be completely stirred into liquid. If stirring is very long, it is found that the micro silica powder is still thicker. It is proved that the fluidity of the selected silica fume sample is poor (the factors that affect the fluidity of silica fume). it doesn’t need to continue the experiment. 2, place the glass plate on horizontal tabletop, so micro silicon slurry can spread more evenly, it is conducive to the next measurement. 3. The fluidity of different micro silica fume products is different. It is suggested that the microsilica samples are measured separately, evenly and mixed, and several samples of micro silicon powder are taken for measurement experiments.